The business of establishing corporate headquarters and major satellite locations is subject to quite a number of competing factors. In addition to incredible salaries and benefits, companies must consider things like climate in order to remain competitive in recruiting top notch employees. Here’s an example of psychology of motivating the workers. Everyone who’s excited about Des Moines, raise your hand! Someone, anyone? Exactly my point. No offense to the good folks of Iowa, but it’s not a “draw” for most people. How about Las Vegas? Quite a few hands this time. But perhaps not conducive to productivity of the work force, too many distractions. Los Angeles is the new Goldilocks location, “just right” for a lot of reasons. Ready to pack your bags and join the new migration to California? Inevitably, Los Angeles furnished rentals are at a premium there, so some planning may be in order. The old real-estate maxim applies to Los Angeles furnished rentals was as well as any other form of housing, it’s all about location. Finance and technology companies are settling in Los Angeles at the behest of their current and future employees. And, Los Angeles continues to be the place where dreams come to life, with the film and entertainment industries continuing to draw talent from around the world. OK, it is not so bad as that, Los Angeles furnished rentals are not impossible to find. But some ground-work must be laid. Key Housing has been present in the Los Angeles market for many years, and has developed relationships throughout the region, and is well equipped to assist individuals or companies with the task of finding Los Angeles furnished rentals. It makes sense to go with experience, together we can fulfill your L.A. dream. 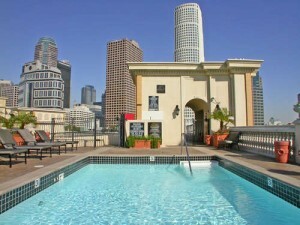 You can browse all of our Los Angeles Furnished Rentals here. This entry was posted in Furnished Apartments and tagged furnished rentals, Los Angeles on September 25, 2015 by Lee McDonald.